At the heart of our creativity is a genuine approach to developing ideas, design and content that cuts through and connects with employees. It’s about combining the diverse skills, knowledge and perspectives in both our teams in the moments that matter. We call it ‘Creative Convergence’. What are the benefits of Creative Convergence? 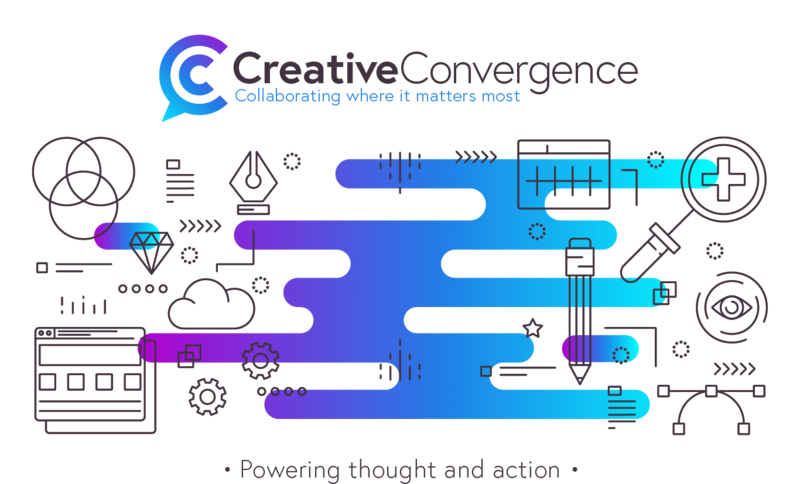 Creative Convergence is about open, honest and insightful collaboration. So, treat us as part of your team, beginning with onboarding. In return, we’ll be enthusiasts who always come armed with energy and ideas; creators who bring insight and resourcefulness to problem-solving; and advisors who will draw on 25 years of experience and knowledge to support you. Without solid process, creativity would be the stuff of daydreams. So, we always come together at regular points during production to ensure that we’re progressing on all fronts. Whether that’s brainstorming ideas, reviewing timelines and budgets, or stepping back to ask if the work excites us and nails the brief. We never aim for less than effective creative that’s created efficiently. Getting under the skin of your brand, understanding how you do things and stepping into your colleagues’ shoes enables us to develop a natural sense of what works best for your business and people. That way we’re able to work better as part of your team and together create simple, effective solutions that just work. The sum of these benefits is that we craft ideas that will excite your people, develop channels that will give them a voice, and share your message and strategy in a way that’s meaningful, relevant and welcomed. We have many examples of Creative Convergence in action and know that it has the power to influence how people think, feel and behave. We all know what success feels like, but you also need evidence – quantitative data and anecdotal feedback – that measures success and provides outcomes on which to act. Since ownership and accountability are part of Creative Convergence, we always build clear measurement and evaluation criteria into every project. More than that, the points of collaboration throughout our approach ensure that we regularly review progress giving us the opportunity to adapt to challenges along the way.